Many Americans are burdened by financial difficulties such as excessive medical bills, overwhelming credit card debt, underwater mortgages, job loss, etc. Filing for bankruptcy can be beneficial to those who are struggling financially. Perhaps the most beneficial aspect of bankruptcy is the automatic stay. 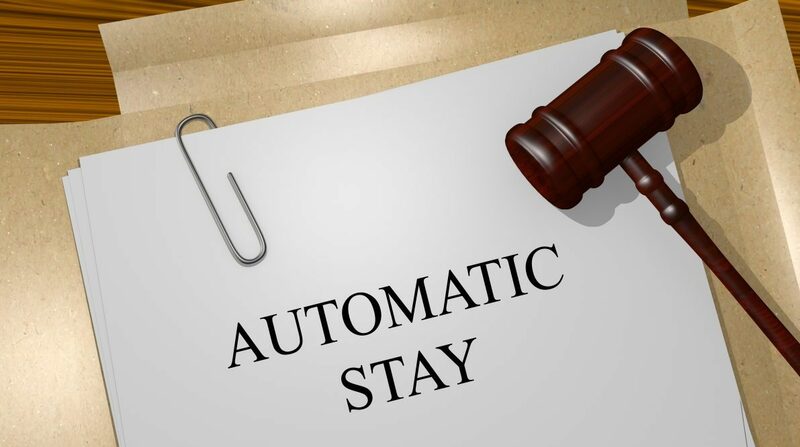 The automatic stay is an injunction against a filer’s creditors which temporarily prohibits them from pursuing most collection activities against the debtor. The automatic stay goes into effect as soon as the debtor formally files a bankruptcy petition. An automatic stay will generally remain in effect until the debtor receives a discharge of debt from the bankruptcy. How is the Automatic Stay Beneficial? The main benefit of the automatic stay is that it prohibits all direct communication, by phone or mail, from creditors seeking payment. Once the bankruptcy petition is filed and creditors are notified, by the bankruptcy court, that it has been filed, a creditor cannot directly contact the debtor concerning their debt without facing a penalty. All communication must be directed to the lawyer and/or bankruptcy court. The potential stopping of any of these provides the bankruptcy filer immediate relief from the overwhelming pressure of their financial situation. It gives them time to step back and assess their finances and make steps toward a financial fresh start. Could Bankruptcy’s Automatic Stay Benefit You? Are you one of the millions of Americans burdened by overwhelming debt? Are you dealing with or facing the possibility of foreclosure, repossession, wage garnishment, liens, or creditor lawsuits? Bankruptcy and its protections, such as the automatic stay, could be the needed solution to your struggles. Contact us today for a free evaluation to see if one of our experienced attorneys could help you start toward a financial fresh start.